Scooters are not always in the spotlight and reviews on them are scarce. 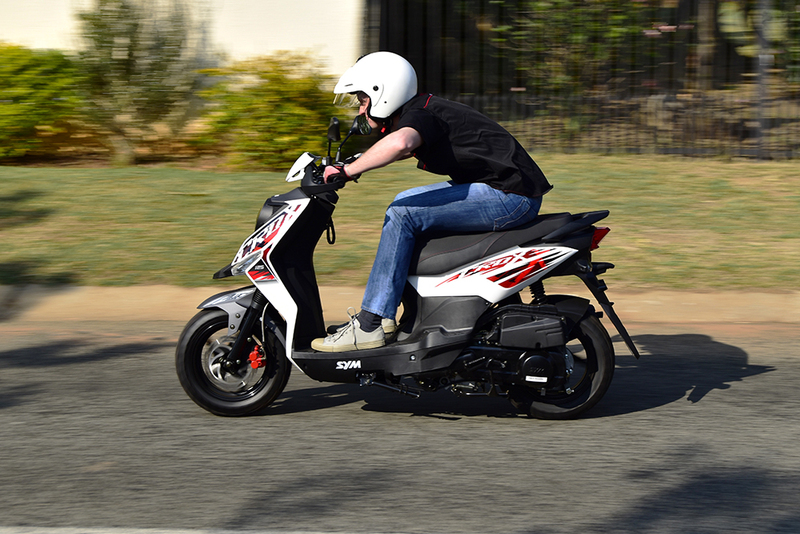 When we were asked by SYM South Africa to ride one of their most popular models, we jumped at the opportunity. The only question on our minds, how does one review a scooter? On face value, all scooters seem to be similar, however deciding which one to purchase requires a far more informed decision making process than one may consider. It is no secret that scooters make excellent commuters, not only are they very fuel efficient but they also have an incredible talent for carving their way through traffic. As a result we have seen the scooter market boom over the last couple of years. Like elsewhere in the world, scooters should be considered the most practical way to travel. With an increase in scooter sales throughout Southern Africa, a number of brands entered the arena, most of which with names that were never heard of, mainly sourced from China. A number of new riders within the motorcycle community had their expectations tarnished, due to poor quality products and non-existent after sales service. Unfortunately this then resulted in a negative view towards scooters in general. The good news is that most of those “so-called” Brands have fallen by the wayside. Those that remain are well aware that they need to realise client expectations. For the purpose of this scooter review, we did not only ride the SYM Crox 125, we also looked beyond, to really discover the quality and backing of the product itself. When it comes to purchasing a scooter these elements should not be overlooked. The SYM Crox 125cc is a styling scoot, its sporty design is not gender specific and so even the high school rugby captain will look good riding one. MX style bars fitted with hand guards highlight the fact that this is one really cool scoot. An illuminated LCD speedo cluster and futuristic headlights also offer an ultra-modern look. Scooters are often known for not presenting the best road holding capabilities. The SYM Crox felt solid and reassuring, this may have something to do with its 12 inch tyres, front and rear. The brakes also show impressive stopping capabilities. The Superbike inspired wave disc on the front is definitely up to the task especially when coupled with a factory fitted braided hose. I rode the SYM Crox for about a week, out and about on local errands. I was really impressed with its tenacity, It does everything expected of it and more. Although the scoot was still new, the fuel consumption was good, this is something that will constantly improve as the motor loosens up. The riding position is comfortable and the leg room is generous. 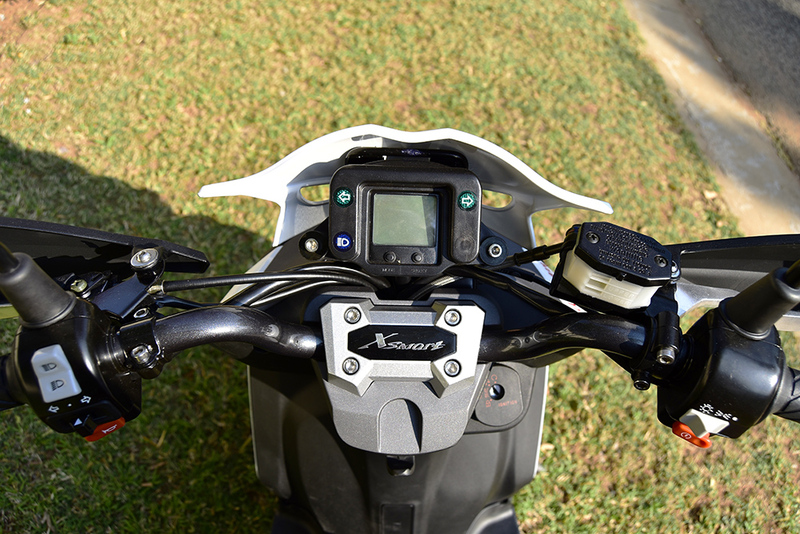 The ergonomics offer a happy medium ensuring that riders of all shapes and sizes should adjust quite easily. Although the scoot does not offer a state of the art suspension, it is pretty well damped and I did not get that “pogo stick” sensation, even when I was a bit hasty over speed bumps. Based on my experience of riding the SYM Crox, I can say that this is an above average scooter, I am compelled to say it ranks up there with the very popular Yamaha BW100, only lacking that snappy 2 stroke acceleration off the line. So it’s a great scoot, but for me it is important to know what happens once I buy one? Is there after sales service? Is there back up? Am I going to get burnt like those many scooter clients before me? Well it certainly did not take long for me to establish peace of mind. After doing a bit of research, it was quite clear that this is no “Mickey Mouse” Brand. Sanyang Motor Co., the father company of SYM Motorcycles and Scooters was founded in 1954 and entered into a joint venture with Honda in the early 1960s, to become the first motorcycle manufacturer in Taiwan. They later began building Hyundai cars for the domestic market and are still today the only manufacturer in Taiwan producing both cars and motorcycles, turning out about 35 000 cars and a million two-wheelers a year. 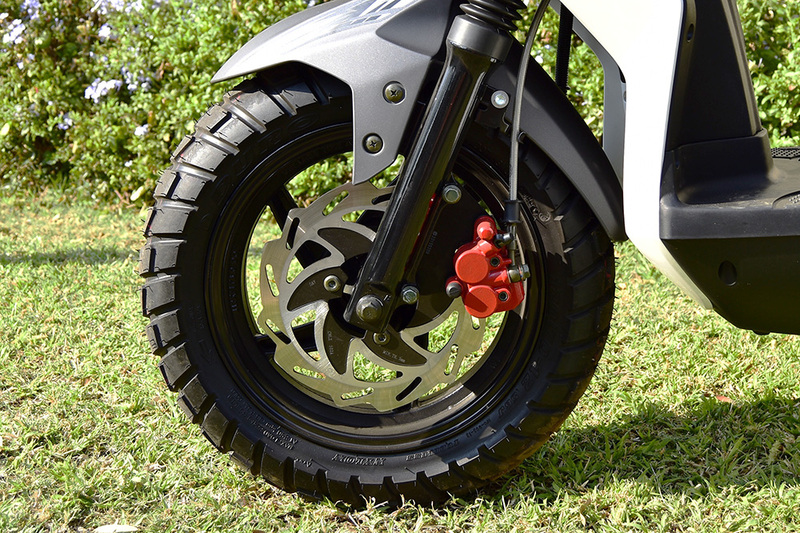 In South Africa, KMSA are the official importers and distributors for SYM Motorcycles and Scooters. They have been around since 1975 and are also the official importers for Kawasaki and Triumph motorcycles. Associated Motor Holdings, a subsidiary of the Imperial Group, is KMSA’s major shareholder, with the balance of ownership held by KMSA MD. The SYM dealer network has 44 outlets countrywide, most of which also hosting other major brands. As a result you will find professional service centres with qualified staff, far more reassuring than the guy selling from his converted double garage. Alluding to the scenario “here today – gone tomorrow”. I believe scooters play a very important role in the commuter market. In our economic times consumers are always looking for ways to save money. A scooter is definitely a great option and an educated purchase decision will insure that new riders can travel with peace of mind. A scooter is not a poorman’s bike but a logical way to travel. Get yourself a scoot and use it for those quick trips to the shop, parking will not be a problem or simply use it to the gym and save your car. You can even half you travel time to work and back. Scooters are appropriate for all ages, provided the necessary license requirements are in place, the days of use exclusively by 16 year old school girls are long gone. Scooters are the answer to your commuting woes and yes they are reliable, provided you buy right!